I recently read The Cat by French novelist Colette. Now, Colette was no slouch when it came to seeding her stories with escalating tension. Nominated for the Nobel Prize in Literature in 1948, Colette’s most renowned work is the novella Gigi, but for me The Cat far surpasses that tale. It begins slowly enough with our introductions to Alain and his fiancée Camille; Alain’s beloved rescue cat Saha in the background. As the narrative progresses, Alain’s resentment of Camille’s position in his life deepens. The wedding takes place off-screen, hinting at how little significance this change in circumstance holds for Alain. The newly weds move in together and muddle along relatively all right, until Alain brings Saha to share their temporary home. The home, leant by a friend, is in a tall, skinny building the unhappy couple refers to as The Wedge. Their apartment is nine storeys up, and Saha quickly develops a tendency to sit “washing herself at length on the parapet” above the sheer drop. Initially this behaviour terrifies Camille, but jealousy is a dark and unpredictable thing. Alain’s love-making is “hurried” and “peevish”, while he reserves all his warmth and affection for Saha. Instead, Camille behaves as if Saha is not there, perhaps pretending to herself that her “rival” truly does not exist. Yawning, stretching and pacing, she impels the cat to move endlessly, over and over, in the small space they inhabit high above the ground. As Camille strides to and fro, Saha has continually to dodge her feet to avoid being kicked, or trodden on. Rhythmically, the torture continues, with Camille feigning ignorance while forcing Saha to leap onto the parapet and back to the balcony floor to save herself, again and again. And, as in any great drama, it is just as Camille is distracted and Saha has a chance to relax that the scene reaches its breathtaking climax. 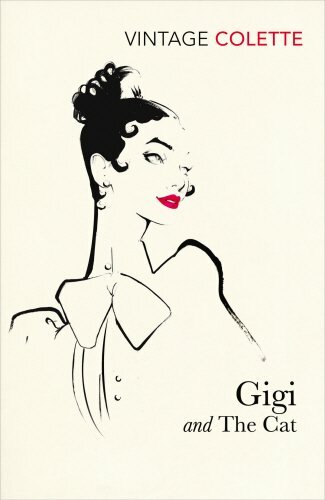 My copy of The Cat by Colette is part of a volume published by Vintage in 2001, which also contains the novella Gigi. Buy it from Amazon.